KIP Real Estate Investment Trust (REIT) is scheduled to be listed in Main Market of Bursa Malaysia on the 6th February 2017. The Initial Public Offering (IPO) consists of 234.15 million units at an IPO price of RM1.00 per unit. Out of these, 220.65 million units are offered to Malaysian and foreign institutional and selected investors and a retail offering of 13.5 million units to the Malaysian public. Retail application is payable upon application but in the event the final retail price is less than RM1.00, retail investors will receive the refund on the difference. Al-Salam Real Estate Investment Trust (REIT) is scheduled to be listed in Main Market of Bursa Malaysia on the 29th September 2015. The Initial Public Offering (IPO) consists of 252.36 million units at an IPO price of RM1.00 per unit. Out of these, 240.76 million units are offered to Malaysian and foreign institutional and selected investors and a retail offering of 11.6 million units to the Malaysian public. 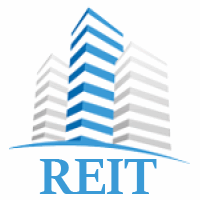 Real Estate Investment Trust (REIT) is one of the most popular ways to invest in property as the dividend is rather stable and attractive. The most important reason why REIT investment is, the investor can access the fund invested in REIT rather quickly than conventional property investment as the units are traded in Bursa Malaysia. However, bear in mind that, dividend received from REIT Investment is taxable. For a REIT fund that distributed at least 90 percent of their total yearly income to unit holders, the REIT itself is exempted from tax for that year of assessment. However, unit holders require to pay tax on the dividend income received from the REIT investment. As the income distributed by REITs tax exempt, no tax credit would be available to the unit holders. If the tax exempt income received by REITs and subsequently distributed to unit holders, this dividend continues to be tax exempt to the unit holders. Pavilion REIT (Real Estate Investment Trust) is scheduled to be listed in Main Market of Bursa Malaysia on the 7th December 2011. The Initial Public Offering (IPO) consists of 790 million units at an IPO price of RM0.88 per unit. Out of these, 755 million units are offered to Malaysian and foreign institutional and selected investors and a retail offering of 35 million units to the Malaysian public, eligible tenants and directors of the Manager and its eligible employees, Urusharta Cemerlang Sdn Bhd, Capital Flagship Sdn Bhd and Kuala Lumpur Pavilion Sdn Bhd. The institutional price will be determined by way of book building while for the retail application, it is payable at RM0.88 upon application. If the final retail price is lower, the difference will be refunded.